AV Stumpfl will bring its lineup of products to LDI 2015 which takes place October 19 to 25 in the Las Vegas Convention Center. Fullwhite screens will be demonstrated in an edge-blended multi-projector display on the AV Stumpfl USA Corp Booth 2017. The Fullwhite screen features a nearly borderless design. It comes with a range of accessories, in a number of sizes and can be used in multiple configurations including 360-degree curved projection environments. The AV Stumpfl Monoblox is a mobile projection that is used by large-scale rental and staging companies. Its main feature is fast assembly without additional tools. Additionally, the original VarioLock modular mobile projection screen will be shown in a variety of sizes. 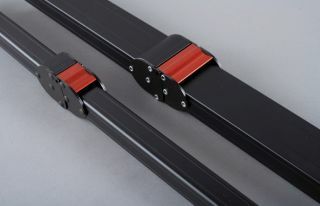 Both Monoblox and VarioLock are available in black anodized hardware formats. The Wings Engine Raw will make a debut at LDI 2015. The Wings Engine Raw is a triple-stream 4K uncompressed media server that uses a custom engineered RAID 10 system. It provides a constant stream of 3-channels of true 4K (4,096 x 2,160 pixels) uncompressed video content at 60fps plus up to 16 text and picture layers, and up to 24 uncompressed audio streams. Removing the need for converting content into intermediate codec formats, content includes native picture sequences such as TGA or TIFF and instant PNG image format processing. The system processes and delivers video content at full 4:4:4 color sampling. Wings Engine Raw hosts the new WingsRX render core engine which has a 64bit program architecture and uses SSE CPU instructions to decentralize processing power. The system is accompanied by AV Stumpfl’s embedded operating system, Backup-Manager, with a dedicated EDID management and automatic camera based calibration system for soft-edge blending, warp and geometry mapping, all operable by time line control. The AV Stumpfl solid-state FHD Media Players will be demonstrated alongside, Wings Avio Manger and SC Master control hardware and software. Free to all LDI attendees, AV Stumpfl will sponsor the Lighting & Projection New Technology Breakfast alongside PRG taking place at 8:00 – 10:00 on Friday, 23 October 2015. From 15:30-17:00 on Friday, 23 October, AV Stumpfl will sponsor the LDI Booth Crawl and Scavenger Hunt. Participants have the chance to win an iPad Air 2 and are invited to promote the program on social media using hashtags: #boothcrawl, #LDI2015, #AVStumpfl.